If you’re an avid hunter, then it makes sense to want to take your hunting game to the next level. Finding the stability and support to create accurate, on-target shots can be tough, particularly when you’re out for the whole day. It can be often difficult to maintain the ideal shooting position, particularly when your body starts to tire. A popular method of combatting this problem is to use a rifle bipod. These innovative and versatile products provide an easy solution to maintaining a straight shot, and they aren’t an expensive tool to add to your kit. What is a Rifle Bipod? A rifle bipod is simply a platform on which you can rest your rifle to that you can keep an accurate position at all times. Featuring a small platform that connects to your firearm and two sturdy legs that can adjust to whatever working height you need, these devices make an easy job out of your hunting expedition, ensuring comfort and support throughout the whole day. Being encumbered by extra equipment might seem counterintuitive, but one of the main features of a rifle bipod is the extremely lightweight design that they boast. These bipods are often made from aluminum, enabling you to easily carry them no matter how far into the woods you need to go, but allowing for the strength that you need to maintain proper support. When looking for an attachment for your rifle, your main concerns are stability, comfort and, of course, accuracy. The CVLIFE tactical rifle bipod is designed with these things in mind, providing you with the ultimate strength and usability no matter your target. When you’re going to be spending a long time in position, having your rifle set at the perfect height will ensure you maintain the maximum shooting stance. 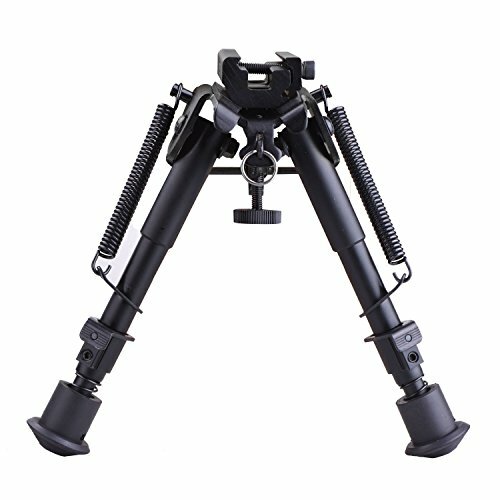 The CVLIFE tactical bipod features an extendible frame, allowing you to maintain perfect posture for 5 different heights between 6 and 9 inches. When you are getting set up in your ideal vantage point, an easy to use bipod ensures that you don’t waste any time in the process. The CVLIFE tactical bipod features spring loaded adjustable components, so you can easily get it set up so you can take down your target. The CVLIFE tactical bipod is constructed from hardened steel and aluminum. Though light in weight and easy to transport, it can really stand the test of time, no matter how much you use it. 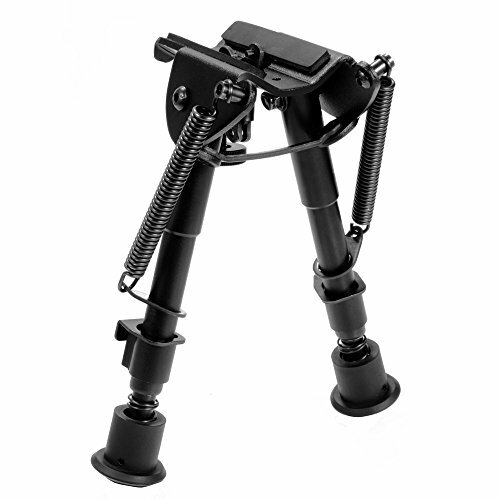 This bipod also features rubber feet that confer added stability and resistance to slips. The AccuShot BT10 Atlas bipod may not come cheap, but it is certainly worth the money you spend. With a design that favors total versatility and efficiency when it comes to stabilizing your shot, you will experience a smoother, easier shot every time. Strength and durability are the features that stand out with the AccuShot BT10 Atlas bipod. The sleek frame is constructed from T6061 aircraft grade aluminum, possessing amazing strength and build quality. Not only that, but the construction means it’s easier to carry due to the lightweight properties. 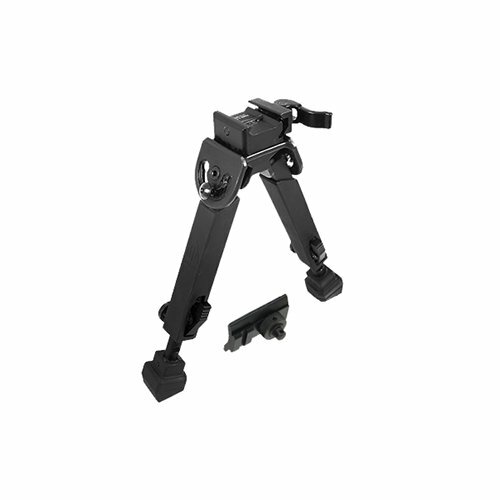 The AccuShot BT10 Atlas bipod is designed with completely removable and interchangeable feet. By doing this, the Atlas enables you to switch the standard feet out for any of the other Atlas models, so that you can easily upgrade at any time. The AccuShot BT10 Atlas features full adjustability, with an extension height ranging from 4.75 to 9 inches. You will also find a 15 degree adjustability of preload cant and pan, which means you can easily scan your range to find a suitable target. When it comes to creating quality bipods, there’s no easy comparison to Harris Engineering. With a long history of developing and delivering the most versatile and functional rifle bipeds, the S-BRM will have you shooting with accuracy on every hunting trip. Getting your rifle set up can be time consuming enough by itself, but when you add a bipod to the mix, you could find yourself spending your valuable time with set up rather than getting your ideal shot. The Harris Engineering S-BRM is designed for simplicity of use, allowing you to quickly unfold and attach it to your rifle. Support is the main reason why you have decided to purchase a rifle bipod, so why would you settle for a model that doesn’t give you the strength that you need? The Harris Engineering S-BRM bipod features a very strong hinge that allows for powerful support. Weighing in at only 13 ounces, the Harris Engineering S-BRM bipod is one of the most lightweight models on the market. With the ability to transport it easily, and the convenient foldable design, this bipod can fit in your bag and you won’t even know it’s there. Bipods can offer you a lot of flexibility for your hunting trip, but when you’re looking for a little more, you often find that there are not a lot of options. The Vanguard Quest T62U shooting stick is a versatile option that allows for the convenience of both a bipod and tripod for whatever usage options you require. The Vanguard Quest T62U is a very functional and flexible model. Allowing for three shooting modes, including monopod, bipod, and tripod, you can tailor your use to whatever position or platform you are using for your shooting. The Vanguard Quest T62U shooting stick delivers superior shooting height. Extending from 27.5 to 62 inches, this shooting stick allows ease of use for just about anyone, regardless of mobility. 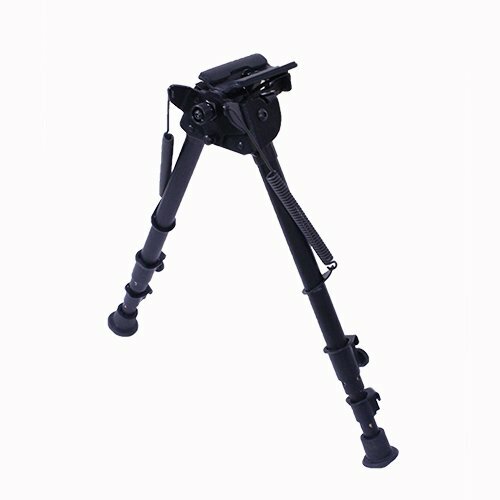 Suited for working in a standing position, this shooting stick can offer convenience and comfort. Panning your scene is very important when you are chasing that elusive target. The Vanguard Quest T62U shooting stick features a removable U-shaped yoke that allows you the ultimate movement. If you find it getting in your way, you can always remove it so that you can remain secure. Sometimes, there is nothing better than simplicity. The UTG Leaders TL-BP200Q-A rifle bipod is a sleek yet sophisticated bipod model that can be used in just about any situation. Featuring a strong yet lightweight design, this model will allow full flexibility with use while retaining the minimal key features that you are looking for. You may find that many rifle bipods contain tons of features that result in overcomplicating the way you use it. The UTG Leaders rifle bipod shifts that paradigm, by offering only the features you require to get a straight and accurate shot. There’s no need for any confusion, you simply set it up and you’re ready to go. One of the key differences between the UTG Leaders bipod and other models is that the frame is designed in a way that incorporates square legs. This offers you even more stability than you’d find with a model that has cylindrical legs, ensuring accuracy and reliability every time. You are always going to want trust when you are taking your shot. The UTG Leaders bipod is fitted with rubberized feet that allow powerful grip on the most difficult terrain. Whether you want to balance your rifle on a rock to get that shot, or want to stick with a bench or table, this bipod can handle anything. The AVAWO Hunting Rifle Bipod certainly combines hunting with technology. This small, sleek little unit delivers amazing accuracy while retaining a beautiful, polished look, and contains many features that certainly make life on the hunt easier for you. One of the main attractive features of the AVAWO hunting rifle bipod is the fully adjustable angles of use that it offers. Whether you prefer support from the front or the back, this bipod can be easily configured, either way, giving you the most comfortable shooting position. The AVAWO hunting rifle bipod is fitted with four sturdy steel springs that assist you during set up and pack down. With the click of the button, the legs easily extend from 7-1/2 to 10-3/8 inches, with five lockable positions in between, so that you can make quick work out of your positioning. In the fully closed position, the AVAWO hunting rifle bipod is only 6 inches in length, allowing for very easy and convenient transport to and from your hunting destination. Not only does this save you time, but it will also save a lot of space so you can fit more gear in your bag. Getting down in the dirt isn’t for everyone, and spending a long day out on the trails looking for your ideal target can take its toll on your body. The Versa Pod 150-003 Model 3 Sitting Bipod is developed for a more upright shooting position, offering comfort throughout your long day. There’s not much to the Versa Pod sitting bipod. In fact, the typical bells and whistles you see on other models can actually turn an easy task into a complicated mess. The Versa Pod bipod is designed to deliver exactly what you need in terms of stability, without hampering you with unnecessary additions. 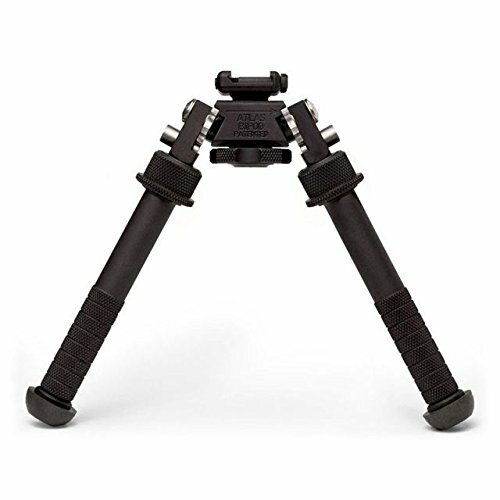 The Versa Pod sitting bipod is designed for quick and easy use. The legs extend from 15 to 23 inches and feature locking latches powered by precision wire-EDM cut springs which ensure easy, one handed use in a short space of time. It might be daunting to buy such a cost effective rifle bipod, but the Versa Pod sitting bipod comes with a limited lifetime warranty so that you know you can always have your problems taken care of. However, we know you won’t suffer any disappointment with this bipod thanks to the strong construction and attention to detail used in the manufacturing process. There are not a lot of rifle bipods on the market that offer as much flexibility and versatility as the Primos Gen 2 Bipod Trigger Stick. Suited for use in just about any position, you’ll feel the full range of comfort that this bipod can deliver. The Primos Gen 2 bipod features a trigger switch that enables easy configuration between seated and standing modes. Once adjusted, the bipod will lock in place, giving you security as you find the right shooting position. Movement is key when you are trying to follow your target. 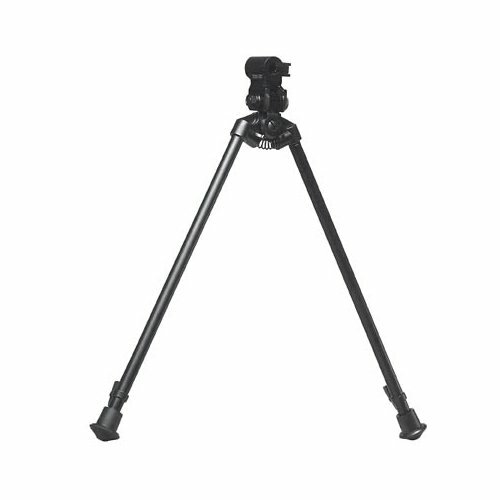 The Primos Gen 2 bipod features a rotating V-yoke which allows fluid, stable movement across your scene. With the ability to completely remove yoke, you can instead attach cameras and scopes for the full experience. Most bipod models allow for easy use on a bench, a rock or the ground. The Primos Gen 2 bipod, however, delivers the ultimate use through the ability to stand as you take your shot, making it perfect for situations where you may be on the move frequently. As we’ve said earlier, Harris Engineering is one of the top manufacturers when it comes to rifle bipods. The S-25 hinged base bipod is no departure from their excellent range, delivering power and functionality in this USA made design. While most rifle bipods can be heavy and burdensome, the Harris Engineering hinged base bipod is light and easy to carry. 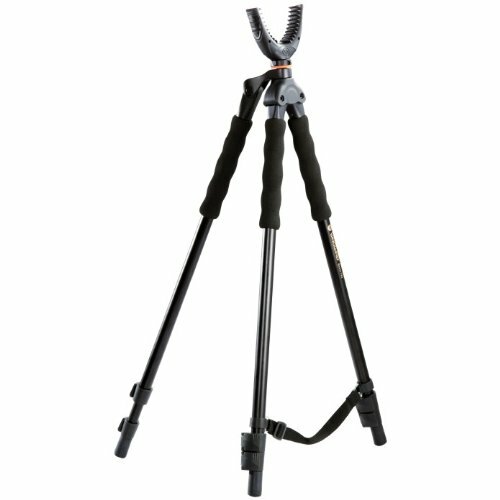 Weighing in at only 20 ounces, this bipod extends to further heights when compared to models in the same weight class. The Harris Engineering hinged base bipod is designed for use in just about any kind of terrain. With the built in swivel, you can get set up even when the ground is uneven, which makes it easier for you to shoot your target no matter where they are. Packing up your bipod and moving to another location can take a lot of time. The Harris Engineering hinged base bipod features a built in sling strap attachment, which allows you to pick up the bipod and transport it without any effort. While simplistic in design, the UTG tactical OP bipod contains many features that you’d normally see on more high-tech bipods. 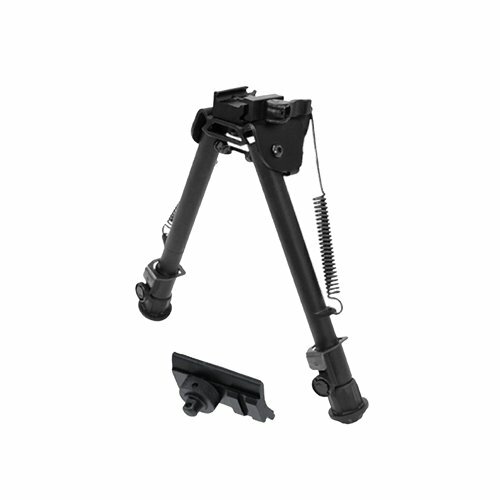 Delivering extra height and stability, this bipod is suitable for any tactical application. Picatinny rails are one of the most well-used tools of the hunting trade. The UTG tactical OP bipod is fitted with complete compliance with the picatinny rail, allowing for very quick operation when you require it the most. The UTG tactical OP bipod is fitted with double support rods at the mounting base so that no matter how heavy your firearm is, you’ll always feel the added support. Not only that, but the legs feature a wider diameter, conferring extra stability during use. No matter what you want to attach to your bipod, the UTG tactical OP bipod can allow you to do it. Featuring the ability to perform a quick-detachments you can change your firearm, mount a camera or even a scope so that you can get the perfect shot. While using a rifle bipod is pretty easy, many models ship without usage instructions. Here, we give you a step by step rundown on how to use your bipod properly. Your rifle will feature a sling swivel, that allows for easier mounting. Start by removing this swivel by pressing the button to unlock the attachment. Loosen the screw on your bipod to remove the bottom part of the mount. This ensures that you can remove the clamp to properly attach the rifle without complicating the process. Now that the rifle and bipod are prepared for connection, place the bipod clamp onto the stud you removed from the rifle. The pins will hold these pieces together, to ensure a proper connection at this step. Now that the stud and clamp are connected, connect it back to the bipod where you removed the clamp. Ensure that the screw is securely tightened in order to fasten and secure the attachment to the bipod. The sling must be replaced on the underside of the bipod. This ensures that you can quickly transport the rifle and bipod easily, even though the bipod is still secured in place. Using a rifle bipod may make your life easier, but there are many tips and tricks that can give you far more functionality than you ever imagined. Here, we take you through these tricks so that you can get more out of your bipod. You may think that using your bipod on a solid surface will give you the maximum stability you need, but soil or dirt can actually elevate your experience. By doing this, you can add extra flexibility to your shot, and it can damper some of the recoil and vibrations. If you don’t have this option, you can always construct a dirt patch yourself. If you use a bipod but want some added flexibility in your use, then you can combine the bipod with a shooting stick to achieve this. Place the bipod in front of the stick to add even more support during use. When holding your rifle against your shoulder, use a wrap-around grip on the stock. This emulates the use that tactical shooters use, and the increase in accuracy will be evident immediately. Putting pressure on the stock can give you better control of your shot. There’s a little more to using a bipod than setting it and using it for the whole day. Your bipod will require extra adjustments throughout the whole day in order to compensate for your fatigue. Make sure you routinely assess the way your bipod is configured so that you can maintain the perfect shot. Staying safe while you’re working with firearms is paramount. There are several things you can do to ensure your safety while you work. This may seem like a very obvious warning, but it’s essential that you never touch the trigger while mounting your rifle to the bipod. This ensures that you don’t experience any unexpected discharges and reduces the risk of injury. In order to remain comfortable and accurate throughout the day, you must ensure that your bipod is extended to offer the optimal working height. Ensure the scope position is calculated correctly so that you can use your rifle safely. 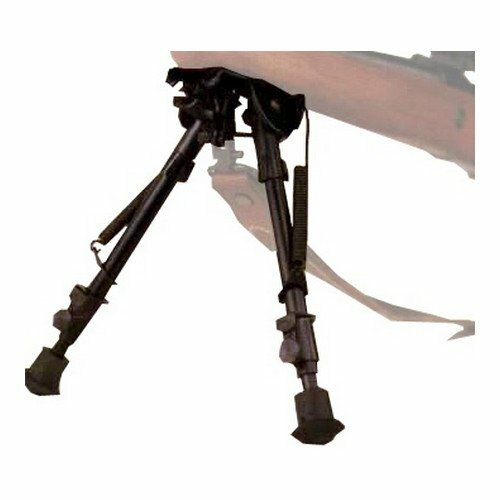 The bipod legs extend to give you the proper working height, but if they are not locked in place, you could fall and injure yourself during use. Ensure the locking mechanism on each of the legs is firmly in place before you start to shoot so that you don’t discharge your firearm on an unexpected target. As with any metal object, you may experience rusting from time to time. It’s important to keep your bipod clean after every use so that it maintains the proper usability and safety features. You should also ensure that any dirt that may be trapped within the moving parts is removed after each use. Before buying a rifle bipod, it’s important to think about the kinds of features you require to make your shots more accurate. Here, we take you through the important considerations you must make. The height of your bipod is largely dependent on how you want to use it. Most bipods are designed to be rested on a bench, but you may be more comfortable in a sitting or standing position. Bipods typically allow for adjustments between a certain range, including lockable positions in between the minimum and maximum height. Choose your working height carefully so that you can get the most out of your bipod. One of the most important considerations you must make is the weight of the bipod you choose. If you often pack a lot of items in your kit, then choosing a bipod that features a very lightweight frame is essential in reducing your carrying load. If weight isn’t an issue, then you have a wider choice in terms of height restrictions and features. Your choice of bipod will be influenced by what you want to attach to it. Many bipods feature picatinny rails, one of the most popular and widely used methods of attachment, but some bipod models will require you to purchase this attachment separately. Be sure to check the specifications of your bipod model if that’s what you need to be using it for. The key feature of your rifle bipod will be the ability to extend the legs to whatever height you want to work at. The legs can adjust to suit this height, but the mechanism they use to extend can impact your overall experience. For quick, one handed extension, choose a model that features spring loaded legs. Q: Can I attach a sling to my bipod? Yes, you often can. The sling can be attached via a ring mounted on the back of the bipod. Q: How can I tighten my mount when it loosens during use? By using Loctite on the screw, you can ensure that your bipod stays secure. Q: Will any bipod fit onto my rifle? No. Bipods are created with many similar features, but each may be designed to work with a specific class of rifle. For instance, if you use a rifle with a picatinny rail, you need to be sure that your bipod contains the correct attachments for this feature. Q: What sort of surface should I use my bipod on? You should use your bipod the way pros use them. Place your bipod on a soft patch of dirt, rather than on a bench or a rock. Q: What sized bipod should I choose? If you are going to be laying down while shooting, choose one with a maximum height of 8-10 inches. A sitting position requires an extension length of up to 25 inches. A bipod that is longer than this will be suitable for use while standing. 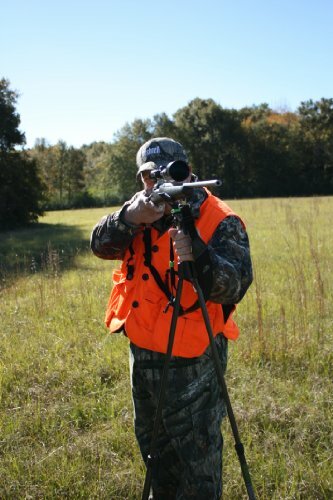 Have you decided that a rifle bipod is a useful tool for your hunting trip? We love the AVAWO Hunting Rifle Bipod due to the fact that it is one of the most compact designs yet still contains many desirable features, making it great for taking on long hunting trips where you might encounter any type of situation.